M. Teixeira Unique Surfaces is thrilled to offer skilled fabrication and installation of Dekton® by Cosentino. This high-tech and low-maintenance composite is beyond resilient. If you love the look of natural stone countertops but still fear they won’t stand up to heavy use, Dekton® has you covered. Dekton® is composed of an elegant and innovative mixture of porcelain, quartz, and the raw materials used in glass production. During the creation process, Exclusive Particle Sintering Technology (PST) synthesizes the process of thousands of years of high temperatures and pressure that stone is exposed to in nature. The end result is a surface that is highly resistant to UV, scratches, stains, fire, excessive temperatures, and hydrolysis. But don’t let its rugged longevity fool you – Dekton® still has the breathtaking beauty you would expect from any natural stone. 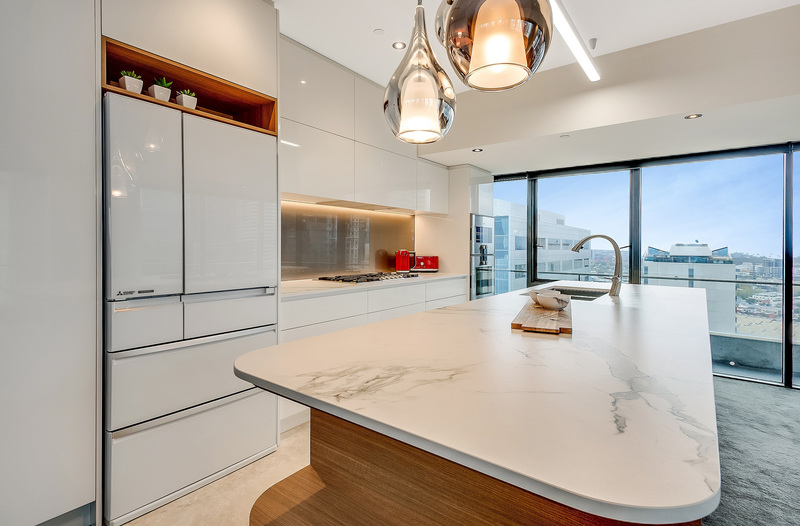 Learn more about Dekton® here.